BARCELONA, SPAIN—The Catalan Referendum for independence from Spain was confronted by the Spanish bosses with massive violence by the police against the workers. And at the same time, Mariano Rajoy, President of Spain, said that he would use the “nuclear alternative,” that is, the threat of article 155 of the Constitution, in which they would use the whole power of the State (laws, courts, the Army) to prevent independence. Catalonia, with a large seaport, produces enormous yearly profits and is the largest port of the Mediterranean in shipping and the fourth largest in the world. Also the airport, the Prat, the second most important in Spain, generates hundreds of millions of Euros a year. These are the real jewels over which the nationalist Catalan bosses and the Spanish bosses are fighting. In recent years, with the global crisis sharpened by the imperialists searching for greater profits, workers find themselves working harder for lower wages, fewer basic services and many are even driven from their homes by evictions. These workers feel thrilled with ideas like “the money from Catalonia stays in Catalonia” or “We will administer the money better and we will have higher wages,” when really the struggle for independence is not so that the workers of Catalonia will receive improvements. On the contrary, the clear objective of these struggles is only to elect an executioner of the workers. Both Spain with its rulers and/or Catalonia with its rulers only look for ways to enrich their coffers. Nationalist struggles only help a group of bosses. 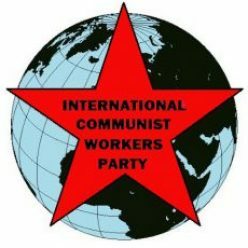 The true revolutionary struggle is the struggle to build Communism and ICWP as our international collective, so that the lives of all are of higher quality and our needs are met. “The real left lies in the workers who are demonstrating in the street,” commented a comrade while we discussed the issue of Catalonia’s independence. “The revolt in Spain goes beyond flags and languages,” said an Irish reader of Red Flag. The discussions about whether or not a struggle for “independence” is good have brought with them many questions and doubts. But nevertheless we said that nationalism only serves to make the same working class fight each other. 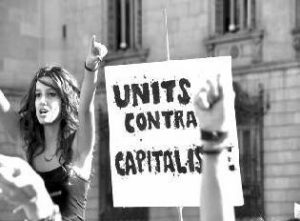 Class struggles are not to fight for some individuals, but instead to fight against the bosses and destroy the entire capitalist system all over the world. Some of the participants in the social media said that we need peace and not resentment and hatred. We responded that the struggles to defeat the system are not won by being pacifists because the imperialists will attack us with bullets and much violence (they do that every day worldwide). ICWP works and struggles to defeat the system. Its tools are dialectical materialism, but we also need to unite and fight together to be able to build a world without borders (and nations) and wage slavery, mobilizing ourselves for communism.